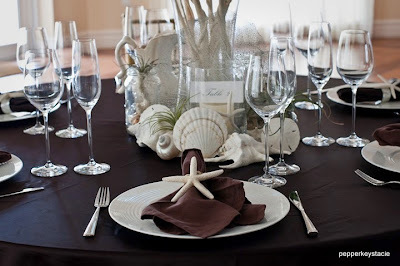 In March I did a tablescape collaboration between Teresa Brunner of http://www.tropicaldmc.com/, Claire and Taylor of Belongings, and Seven Stars resort. 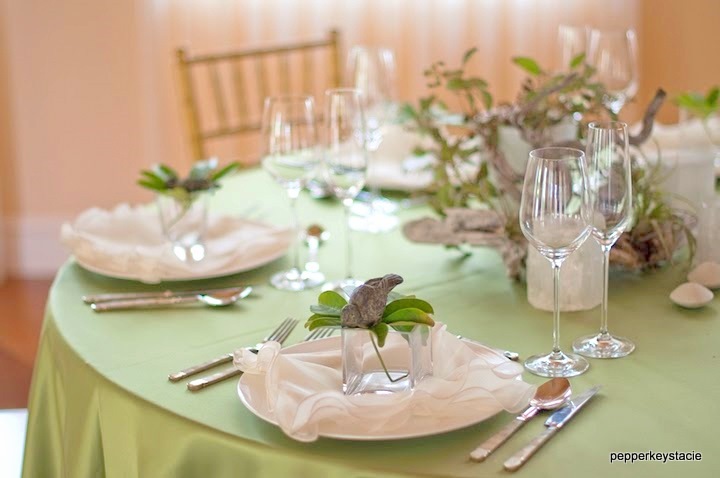 For couples looking to wed in the Turks and Caicos, the tablescapes pictured above could be stylish options for your reception. 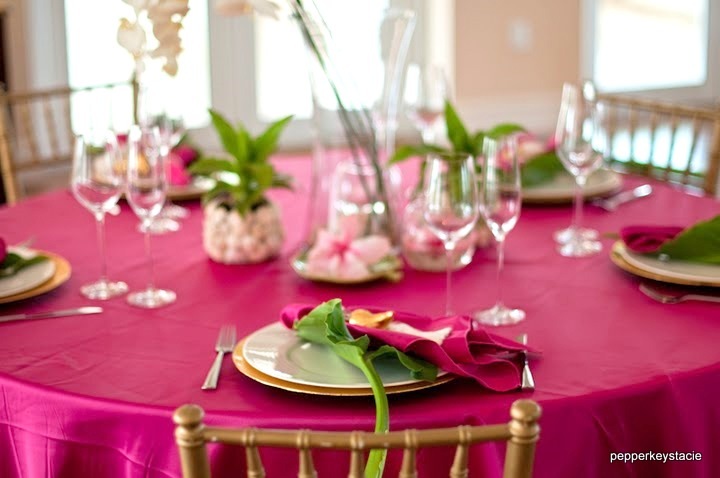 Tropical DMC has a collection of beautiful linen rentals, all satins seen above in espresso, tiffany’s blue, apple green, and fuscia, are available at $40 each. 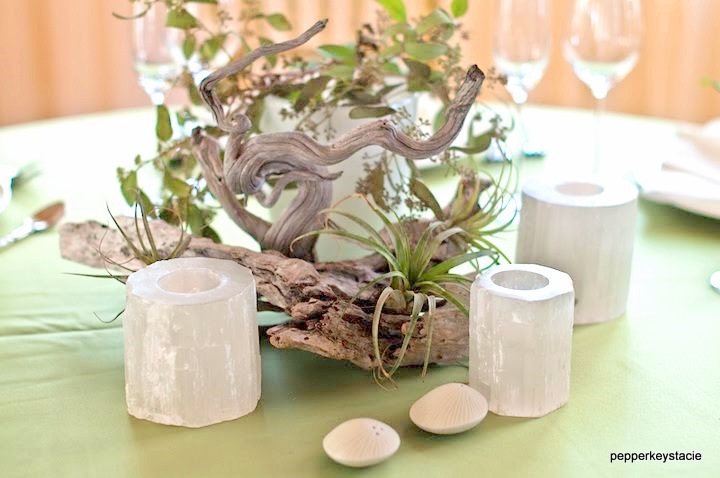 Belongings, one of the most chic interior decor boutiques on the island, offers a gorgeous selection of flatware, vases, place setting decor, and accessories. 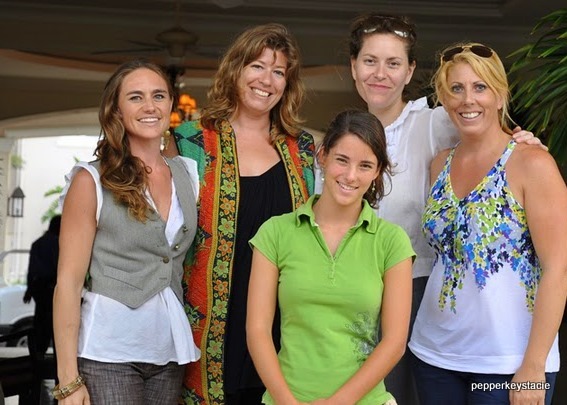 La Pergola at the Seven Stars resort, is a must see space, one of the few that can accomodate large groups. 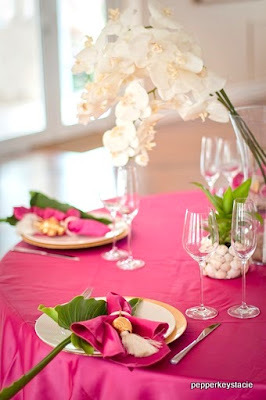 The exterior rooftop and surrounding veranda’s, chandeliers dripping with pale pink crystals, a white grand piano, and a stunning mahogoney bar create an ambiance of elegance. 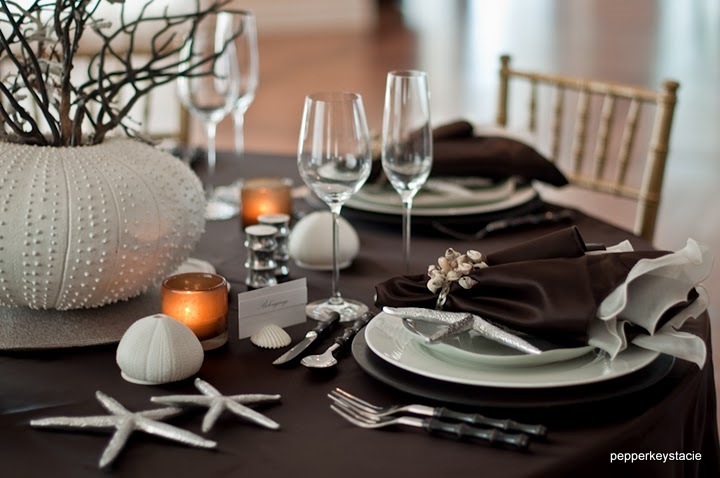 In such a sleek space, these modern tablescapes stood out, a welcome and refreshing break from tradition. 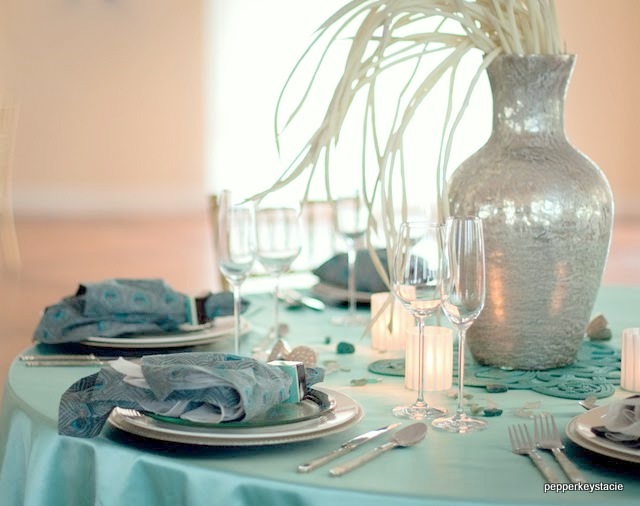 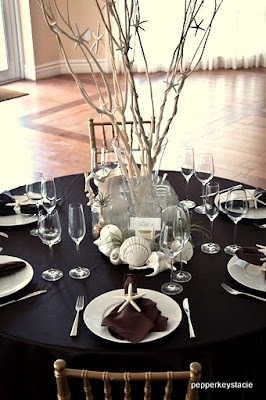 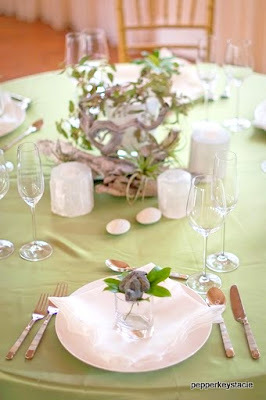 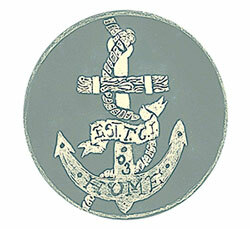 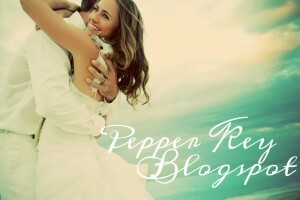 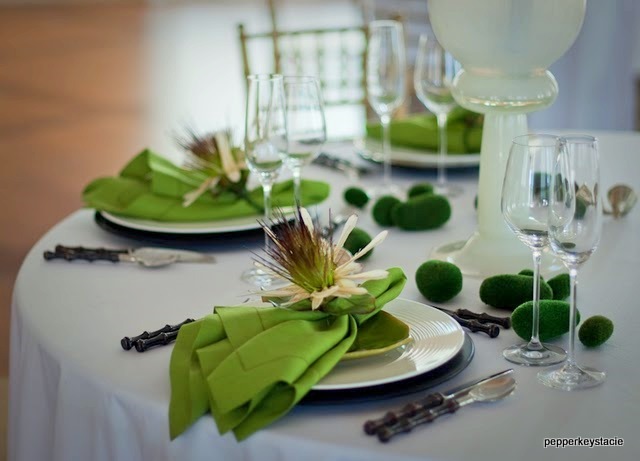 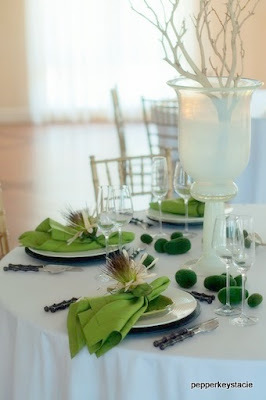 This entry was posted in Belongings, Tropical DMC, wedding tablescape on April 3, 2010 by pepperkeystacie@gmail.com.